You are browsing the archive for 2017 December 19. During the Christmas season in Germany, you’ll hear plenty of Silent Night and O Tannenbaum—two Christmas carols that originated there. But during the Third Reich, you were more likely to hear a hymn called Exalted Night instead of one about a silent night. The popular hymn, which dwelled on motherhood, renewal, and holiday fires, seemingly fit right in with the rest of the Christmas songs. But like so much in Nazi Germany, it was a carefully constructed fake, written by a Nazi songwriter as part of an attempt to apply Adolf Hitler’s hateful ideology to Christmas. 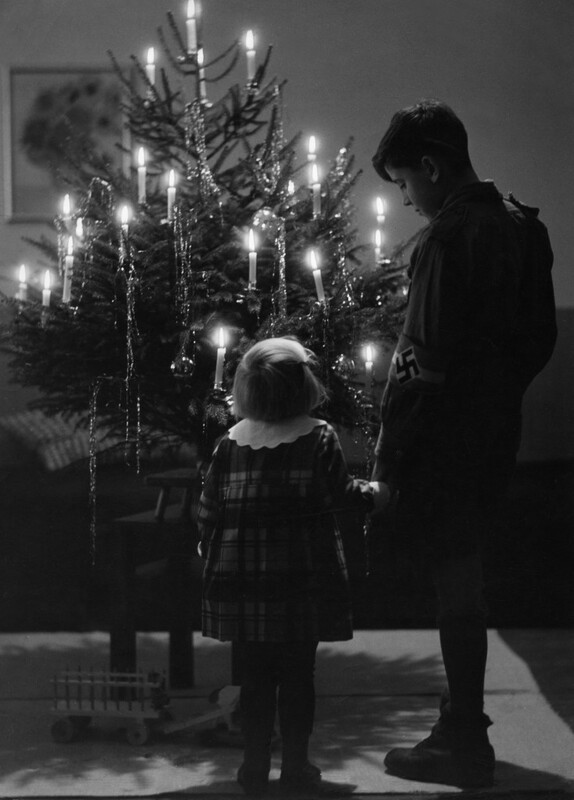 During the 1930s and 1940s, the Nazis did their best to transform Germany’s beloved Christmas traditions into Nazi ones. Though Hitler’s attempts to create a national church failed, his party’s attempt to redefine religious celebrations was more successful. To do this, they used ideology and propaganda to put the holiday in line with the national socialists’ anti-Semitic values. The Nazis’ problem with Christmas was baked into Christmas itself. After all, Jesus was a Jew—and both anti-Semitism and the goal of eradicating Jews and Jewishness were at the very core of Nazi ideology. This presented a problem when it came to Germany. Not only was the nation devoutly Christian, but it was the place where many Christmas traditions, like Advent calendars, Christmas trees and Christmas markets, were born. The Nazis knew it would be impossible to eradicate Christianity entirely, so they decided to rework it in their own image. At first, notes historian Gerry Bowler, Nazis simply tried to take over Christmas as a party ritual. They inserted Nazi imagery and even Nazi party officials into things like nativity scenes and Christmas parties. They also worked to create positive associations between the Nazis and winter with gigantic welfare drives during the colder months. The city of Rome is over 2,700 years old. Dig into the ground and you’ll eventually bump into what the old residents left behind. Over the past decade, the construction and extension of Rome’s third subway line—Line C—has unearthed a treasure trove of artifacts. In December 2017, The New York Times reported that archaeologists had found petrified peach pits and images of an extinct elephant species at the site where the new San Giovanni station will open next year. 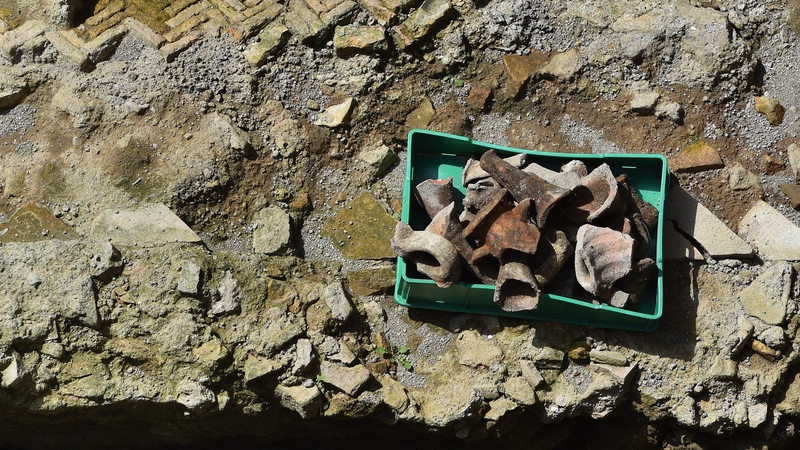 Some of the archaeological discoveries will go on display at the San Giovanni station. But there are a lot of other discoveries that have already gone into museums or storage. 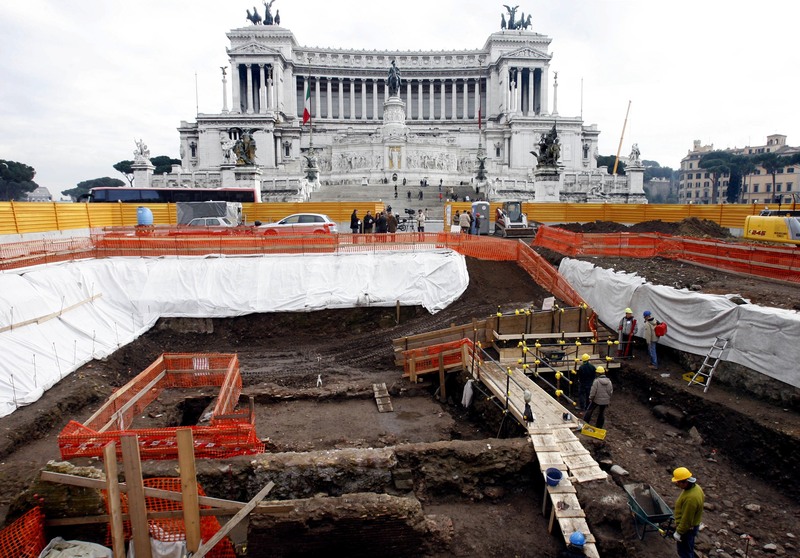 Here’s a look at some of the amazing things that Rome’s subway construction has unearthed. When Italian dictator Benito Mussolini started work on Rome’s first subway in 1937 (which didn’t open till 1955), he wasn’t very concerned about preserving artifacts. Consequently, workers ended up destroying a lot of historic objects that they encountered. Today, the story is different. Between the beginning of Line C’s construction in 2007 and its opening in 2014, archaeologists have painstakingly recorded and preserved historical artifacts. In 2008, they publicly announced their discovery of imperial medieval homes. These homes had kitchens that still contained pieces of pots and pans. In particular, researchers were excited to find a ninth-century kitchen with three sauce-heating pots. Before then, only two such pots had been found in Italy. In addition to the kitchens, researchers announced in 2008 that they had found a sixth-century copper factory during Line C’s construction. Like the kitchens, the factory still had its own tools—specifically, ovens that were used to melt copper alloy. In the Roman Empire, copper was an important component of coins, architecture, and Rome’s famously extensive plumbing system. Adelaide Hasse was used to professional challenges. As a young woman, she struggled to be taken seriously by mostly male executive boards. She created a groundbreaking new way to classify government documents—and was disappointed when a male colleague claimed the credit. But armed with a new job at the New York Public Library, a better salary, and an ambitious new project, she finally felt optimistic about her career. To pull off her newest plan, she’d need support, so she approached the leading voice in her field, Melvil Dewey, a man whose innovations made him a household name. He suggested they meet privately about her new project. Encouraged, she made her way to Albany, New York—only to find that he had arranged what amounted to a weekend-long date. It’s unclear what happened next, but Hasse departed hastily after being taken for a long drive by Dewey, and later spoke to colleagues about how offensive his behavior had been. The story sounds like it could involve a Harvey Weinstein or Matt Lauer, but it didn’t. It took place in 1905, more than a century before the #metoo movement that exposed the sexual misconduct of America’s most powerful men. And the man in question was Melvil Dewey, the library pioneer whose decimal system of classification is still used in libraries today—a “protean genius” who raised himself from a poor farmer’s son to an icon during his lifetime. Dewey is remembered today as an innovator who ushered American librarianship into the modern age. 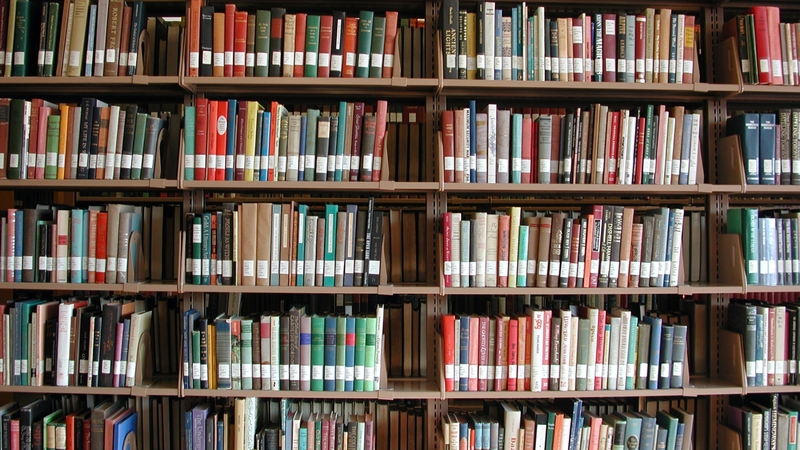 He helped invent the modern library, shaping everything from its organizational methods to its look to the roles of the librarians who were their stewards. But his pattern of sexual harassment was so egregious that women like Hasse dared to speak out against it, at a time when women were harshly judged for reporting sexual harassment. So many came forward that he was kicked out of the profession’s most prestigious association after an industry cruise in Alaska turned dangerous for women. Americans are being told there was no collusion, and the president did a bang-up job in Puerto Rico. Sinclair is known for its history of injecting right-wing spin into local newscasts, most notably with its nationally produced “must-run” commentary segments. The segments, which all Sinclair-owned and operated news stations are required to air, have included (sometimes embarrassing) pro-Trump propaganda missivesfrom former Trump aide Boris Epshteyn since the spring. This segment is far from Epshteyn’s first defense of Trump from what he views as unfair attacks by the press, nor is it the first to suggest mainstream media are hopelessly biased and untrustworthy. It’s also not alone in looking like straight-up Trump propaganda. The FBI just might be targeting Trump because of his political leanings. Deregulation under the Trump administration has led to a spectacularly growing economy. The Colin Kaepernick-led NFL protests are really about how Trump gets genuinely upset when the flag is “disrespected,” as Epshteyn can personally attest. The Trump administration’s response to devastation in Puerto Rico deserved a little criticism, but only polite criticism. The end of the Obama administration's regulatory regime known as net neutrality has brought with it prophecies of impending doom from across the political spectrum. Leaving aside the hyperbole, most objections stem from concerns that Internet service providers (ISPs) will start “discriminating” by offering preferential speeds and bandwidth allocation to certain websites or companies that pay for a higher tier of service. ISPs would, therefore, start to throttle the Internet speeds of normal users. This may well be the result, however, imposing stifling regulations that cement the current dominant players is only going to make to situation worse. The reasons ISPs might be inclined to engage in these practices are mainly twofold: one, ISPs lack any competition in many parts of the country. Two, Internet traffic is increasing and ISPs are looking for ways to raise capital in order to accommodate that growth. Americans find themselves at a critical moment in their nation's history, when they must decide what kind of country they want to have, according to former acting Attorney General Sally Yates. She recalls the Jim Crow South when Americans were forced to choose between segregation and racial justice. And while we have often failed to live up to our ideals, we have always had a shared vision of what the country means and what is expected of its leaders. The GOP isn't even masking its greed and corruption. Is Trump an 'Aspiring Despot' or a 'Bumbling Showman'? Why Not Both? Author Brian Klaas warns the damage of Trump's presidency will last a generation. The presidency of Donald Trump has forced the American people to confront questions most of us had never before considered possible. What happens when a president has no respect for the Constitution and the country's democratic institutions and traditions? When a president and his allies consider themselves above the law, what is to be done? If a president creates his own version of reality by behaving like a political cult leader, what forms of resistance are effective — or even possible? Is the president of the United States a fascist and demagogue who may be under the influence of the country's enemies? Too many Americans believed their country to be exceptional and unique. This blinded them to the threat to democracy embodied by Donald Trump — as well as other members of the extreme right-wing — until it was too late to stop him from stealing control. Moreover, the rise of Trump's authoritarian movement (dishonestly operating under the mask of “populism”) has both empowered and revealed the tens of millions of Americans who have authoritarian or fascist leanings. The threat to American democracy is deep; it will take a long time to purge this civic sickness and political disease from the body politic. The pop star has come under fire for her refusal to condemn the so-called alt right. Taylor Swift launched a new app for her loyal fans last week and within days, it was overrun by fans of President Donald Trump, according to a new report from the Daily Beast. Swift’s followers rushed to the app store, and by Monday, it was among the top trending apps, giving Swift fans a place on social media to see exclusive videos, use “Tay-mojis” and enjoy their own Swift-centric newsfeed. But the most popular feature, which allows supporters to meet each other and chat, has been dominated by right-wing trolls. Many Swift fans already know each other and have met on Facebook and Twitter. They’ve formed a collective ready to respond to any criticism of their favorite star. While the singer’s followers have something in common with Swift, their political ideologies don’t mesh well. When the conversation turned to politics, they immediately began lobbing attacks at Hillary Clinton. “Republicans and Trump supporters have just as much right to be here as everyone. There are people who voted for him or may vote Republican but didn’t vote for him. They may not agree with his beliefs but at least he supports our troops,” one fan wrote. In a separate comment, one user claims that her husband serving in the military is safer with Trump in office. Hillary has “done some things I don’t agree with when it comes to the safety of our troops… at the end of the day it came down to what I felt was best. There are people who voted for reasons other than Trump being a bigoted, sexist, homophobe,” she wrote in another post.